Weight: 45 - 60 lbs. rental barrels are customer pick up and return only. Whiskey Barrel Rentals (Rustic barrels and cull barrels only). Rental fee is $30 per barrel up to 7 days of rental time for $30. Cull barrel (dark to medium wood, light rust on the metal bands). Rustic barrel (weathered, aged & heavy rusted metal bands). We do not rent out our select barrels they are for purchase only. We ask for a deposit in the full amount of the rental barrel/s $115.00 at time of pick up. otherwise you may by credit card or cash. between the rental barrel price and the deposit price. Bourbon Barrels 53 gallon American White Oak #3 Charred. 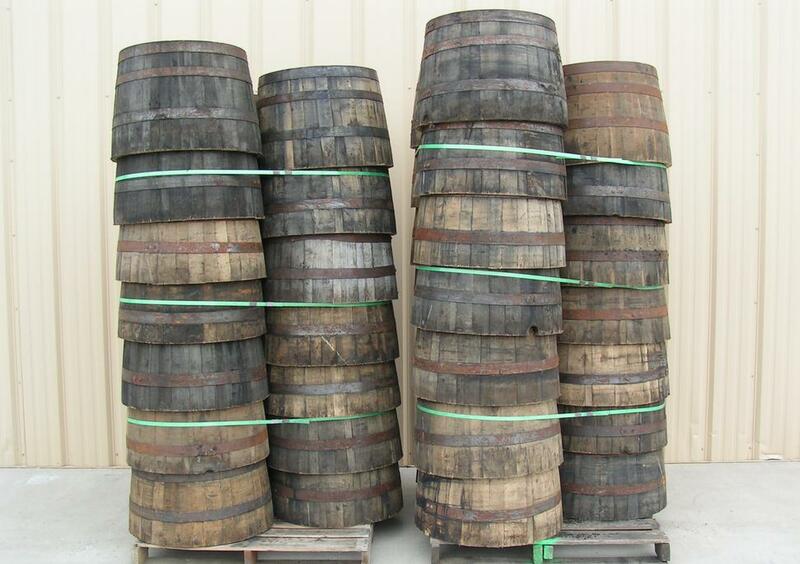 Whiskey Barrels freshly dumped from local Kentucky Distilleries! * cracked staves will not be staves that are completely cracked in half but surface cracks and cracks in the bung area. 53 Gallon Bourbon Barrels, American White Oak, #3 Charred. Whiskey barrel planter dimensions: 18" H x 26" to 28" top diameter, 22" bottom diameter, 45 to 60 lbs. Wine Barrels freshly dumped from CA wine Distilleries! NEW Bourbon Barrels 53 gallon American White Oak #3 Charred. Bourbon Barrel 53 gallon (ready for use) $349.00 with #3 Char. ​Bourbon Barrel dimensions: 36" H x 26" to 28" Belly/Bilge center diameter, 22" top and bottom diameter, 100 to 110 lbs. 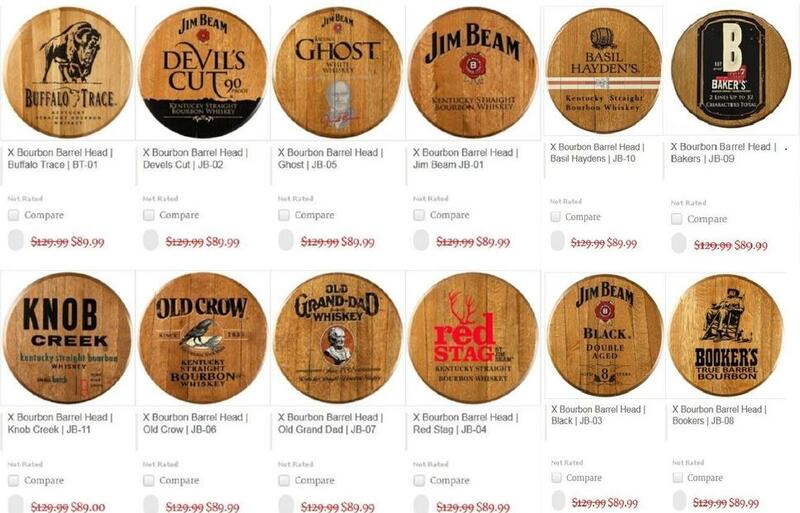 Whiskey Barrel wholesale pricing for resellers! Wholesale Whiskey Barrels wholesale pricing for resellers is available east coast USA $70 per barrel delivered in full 53' truckload quantities of (288 barrels), these barrels are great for reselling in your area and are good solid barrels, they are great for decoration use or making whiskey barrel furniture. Re-purposing barrels is a popular DIY project since they can be used for almost anything for example you can cut a barrel in half and make one into two matching planters, or even into a miniature pond. They also provide a good base for creating unique furniture pieces such as whiskey barrel chairs, whiskey barrel stools, whiskey barrel coffee tables, whiskey barrel tables, whiskey barrel bars, whiskey barrel vanity sinks, whisky barrel side tables and so many more whiskey barrel projects. 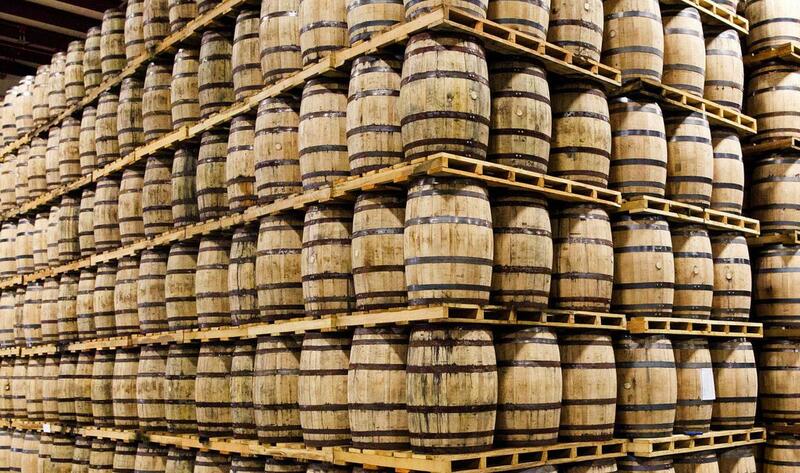 Whiskey Barrel standard size used in all local Kentucky distillery's is a 53 Gallon American White Oak whiskey Barrel. Whiskey barrels store 53 gallons or 200 liters of liquor. Whiskey Barrel Dimensions are 22 inches in diameter for the heads top and bottom by 36 inches in height, the circumference of the bilge will be around 26 to 28 inches. An empty barrel weighs approximately 110 lbs. a full barrel weights approximately 520 lbs. The average 53 gallon barrel has 32 to 35 staves per barrel with the stave thickness of 1 inch to 1 1/8 inch and 6 metal 16 gauge steel bands that are 1.75 inches wide that hold the barrel together. Premium Fresh Dumped Barrels are available! Our freshly dumped one time use Bourbon Barrels are from our local Kentucky Distilleries hand selected, most are just emptied in the last 30 days, used by micro breweries and beer and wine enthusiast for craft brewing.